New case study: find out how submersible Tinytags aid shark reproduction research in the waters off South Africa. Aquatic 2 data loggers have been placed in various locations to record water temperatures, to help assess the impact of water temperature on the development rate and survival of catshark embryos. ELMO is a citizen science project which aims to provide long-term data on Southern African shark, skate and ray populations. ELMO is currently undertaking a comprehensive project to monitor catshark reproduction, and the robust, submersible Aquatic 2 loggers proved the ideal solution for recording water temperature. 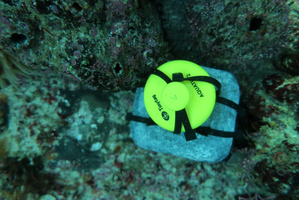 Read the full case study: Submersible Tinytags Help South African Shark Research Project.